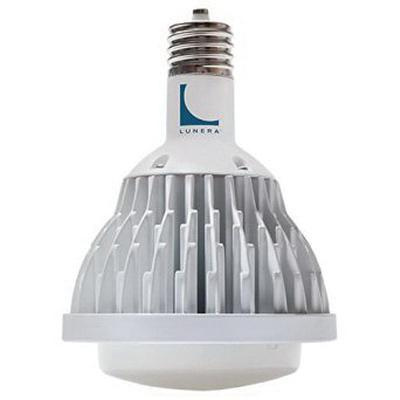 Lunera Gen2 Susan retrofit 72-Watt E39 Mogul base LED lamp in painted color, offers 7800-Lumens of light output. This dimmable lamp has color rendering index of greater than 80 and color temperature rating of 4000K to ensure optimal light level in the surrounding. This lamp has average life of 50000 hours. It measures 8.572-Inch x 6.125-Inch Dia. It supports plug-and-play-installation with existing installed magnetic ballasts. It is suitable for use with enclosed fixtures. Lamp withstands temperature rating of -40 to 150 deg F. Lamp is UL listed and RoHS compliant.